This year I was on it early. 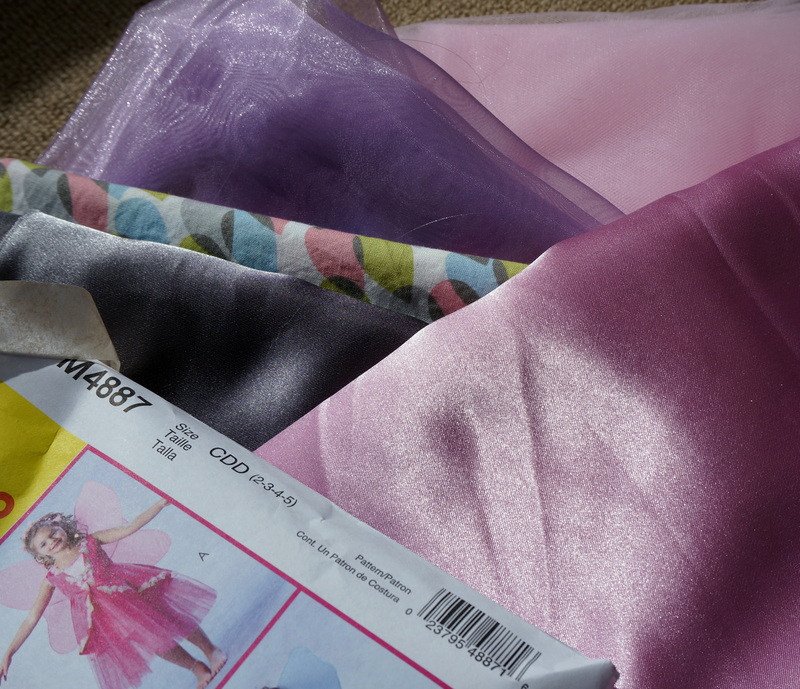 I believe it was still September when I got the kids to pick out patterns and I headed to the fabric store for supplies. I was so excited and eager to start! And then I got to the fabric store. Two hours later and much poorer I finally left the store exasperated and a lot less eager. But I was feeling very grateful that I had started so soon. 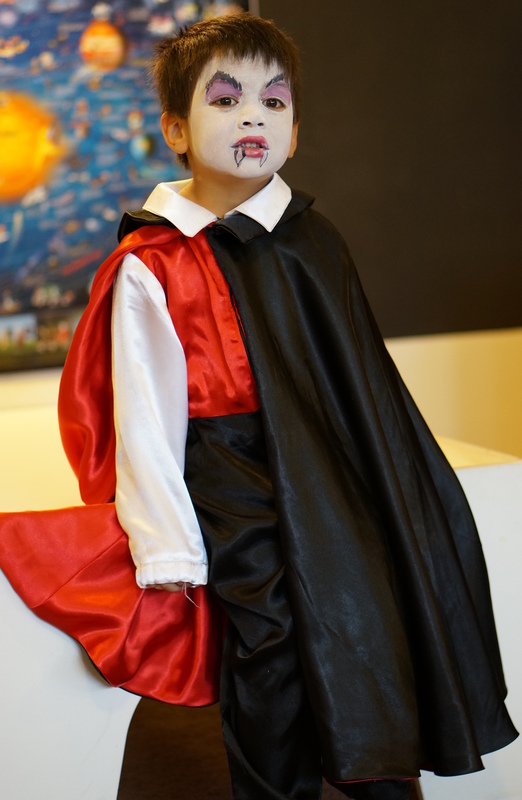 The boy had decided he wanted to be Dracula since he’s been loving Hotel Transylvania lately. 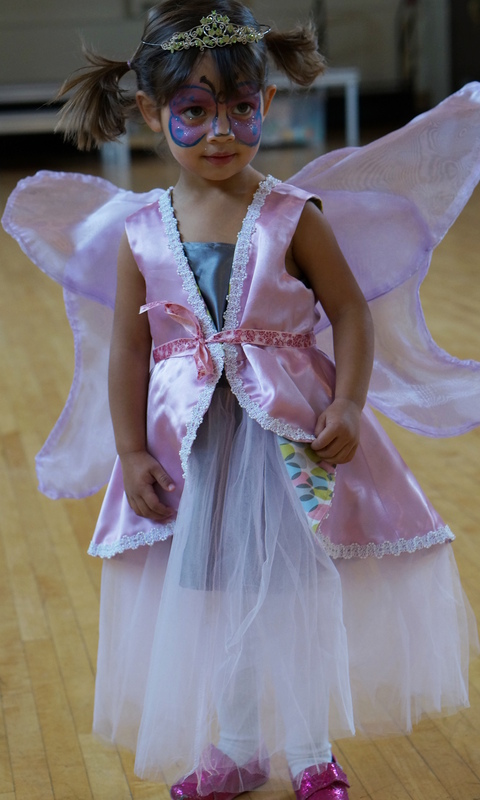 The girl needed to be a “fairy princess”, a pink and purple one to be exact. I have tried to steer her away from the princess stuff but the pink force runs deep in this one. 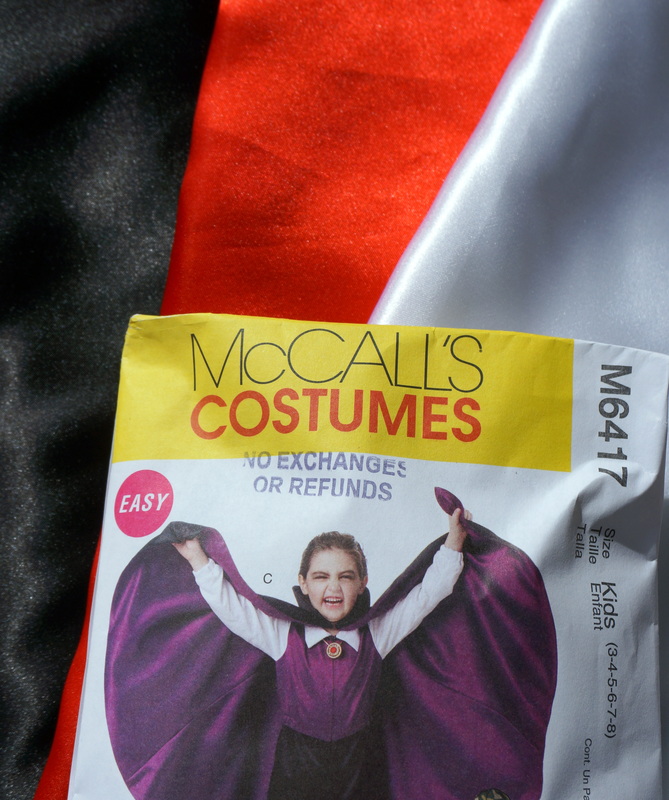 I found these patterns by McCall’s. They didn’t seem all that intimidating at the time, in fact they looked rather cute. After finally deciphering the information hidden on the back and inside the pattern I managed to track down (almost) all of the stuff I needed. Now, over a month later, I’ve finally finished them. The hardest parts were, in order: making a multi-layered tulle skirt, sewing in a zipper, making and applying cuffs and collars. I already knew I disliked zippers, cuffs and collars, but working with tulle was an entirely new form of torture for me. I will be strongly suggesting non-tulle-based costumes in the future. But the end results are costumes and dress-up clothes that my kids love and will be able to wear for a long time and maybe even pass down to their kids someday. And I guess that made it all worth it. Maybe. I love biscuits. They’re so fluffy and buttery and absorbent. 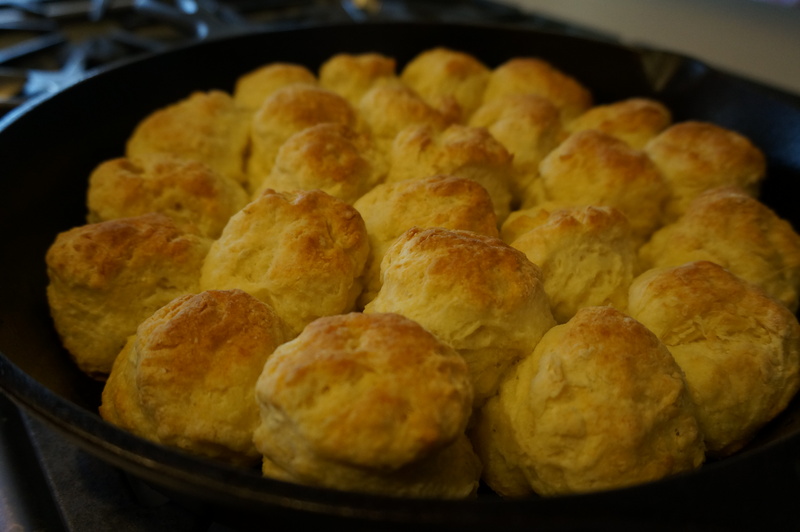 My mom always made biscuits to go along with scalloped potatoes and ham. We’d eat them with butter and molasses, which I’m pretty sure is a Maritime (of Canada) thing. The molasses would seep in and crystallize a little on the top. This also led to me eating scalloped potatoes (or potato scallop as we always called it) with molasses on top, which I’m pretty sure was just a me thing and totally grosses out anyone who sees it. Before I shared this recipe with you I did a little background check. I always assume that my mom’s recipes are family heirlooms, although recently I’ve discovered otherwise. I wanted to make sure this “old family recipe” wasn’t the one on the back of the bag of flour. This time you’re in luck! This was the recipe my grandmother always used, this much we know for sure. We also know that the recipe came from my great uncle Wally, who was in the Canadian Army many moons ago. Here is where the story gets a little cloudy – my mom believes that the recipe was from his days on kitchen duty with the army. She doesn’t have anything to substantiate this story, but it was the one she always knew when she was a kid. So we’re going with it. Pre-heat oven to 425 degress F.
Cut in butter with pastry cutter or two knives until butter pieces are pea-sized. Pour milk over and gently mix in (I start with a fork and then move on to my hands to finish off). DO NOT OVERWORK! – it will lead to tough bisquits. Flatten dough to about 2″ – 3″ thick. Using a round cookie cutter (or my mom always used a small glass), cut out rounds and place them in a 9″ x 13″ baking dish (or in a large cast-iron pan if you like them a little crispier). Bake for 15-20 minutes, until golden-brown on top. Eat them immediately! 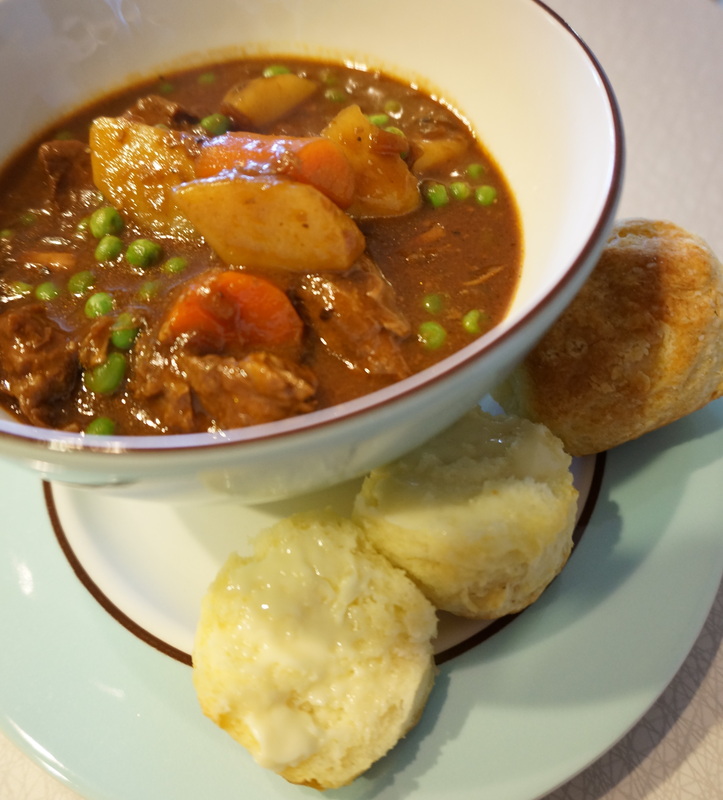 Maybe with some beef stew. 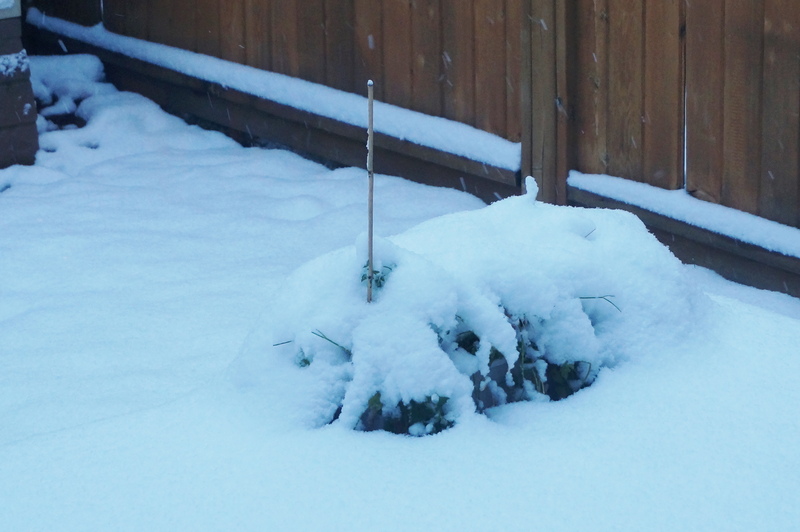 We’ve had our first snow of the year. So, this is what it looks like outside my house right now. Don’t think my parsley is happy. And you know, the first snow of the year is always a novelty. 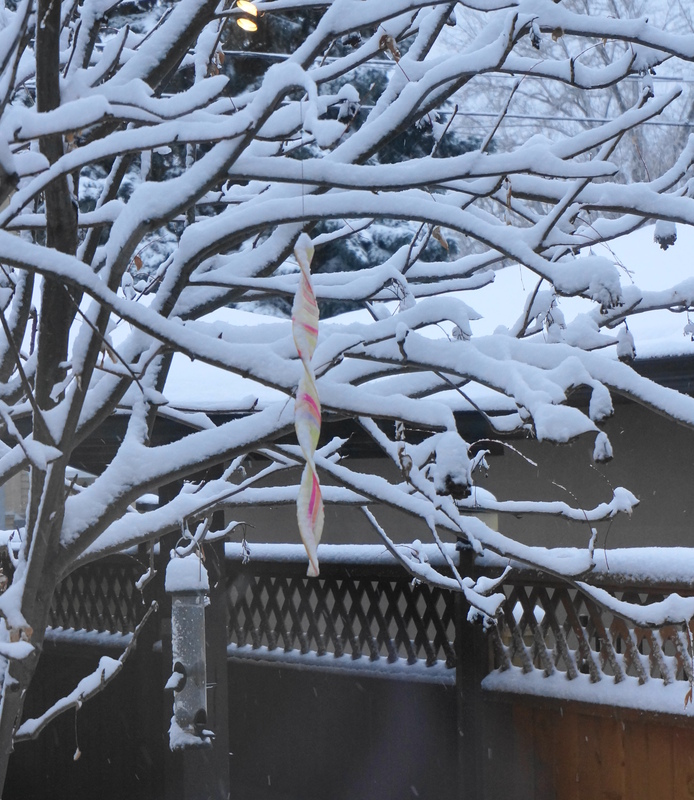 You snuggle up in your house, maybe you stay in your jammies all day (ooops), and you notice how pretty the snow flakes look as they slowly fall to the ground. But, it’s gonna get old really fast. Those days of -20 degrees Celsius are ahead of us. Endless days of snow and treacherous road conditions. Children going stir crazy and tearing the house apart. And lets not forget the many layers of clothing to pile onto said kids before you even attempt to leave the house. But for now I’m going to appreciate a few things. First, this was the most beautiful fall I’ve ever experienced in Alberta. There were reds and oranges to go along with the usual yellow on the trees this year, and those leaves stuck around a lot longer than I’m used to seeing here. Second, it’s full-on knitting season now. Ravelry, Pinterest and all the blogs are abuzz with FO’s and WIP’s. I continue to knit year-round but it’s nice to see the seasonal knitters back at it. Finally, even though I’ve been quite on here of late, I’ve been a very busy beaver. I’ve got 3, count ’em, 3 new patterns coming in the next month or so. They are all designs that I’m quite proud of and I can’t wait to get them out. And they’ll be just in time for something very big, news of which will be coming very soon! I hope you are staying warm and thinking sweet wintery thoughts, and knitting lots of wooly things to keep you warm through what’s to come.